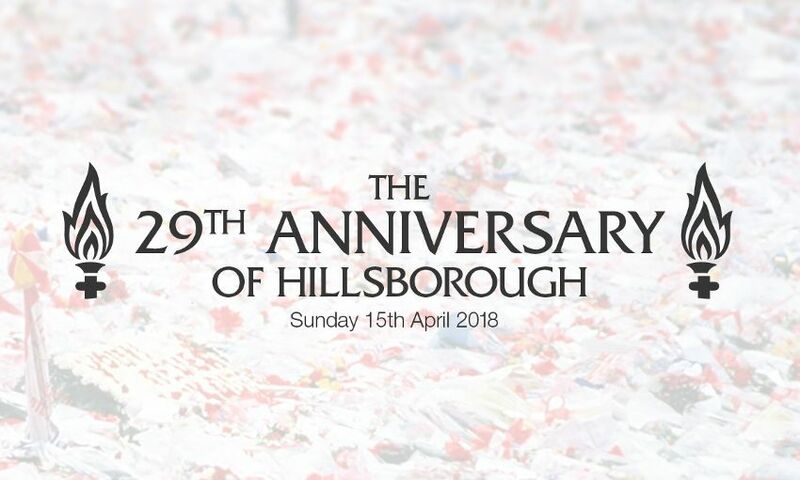 Liverpool Football Club will mark the 29th anniversary of the Hillsborough tragedy with tributes across the weekend and a day of themed programming on LFCTV. At the request of the majority of families, a minute’s applause was held before kick-off in Saturday’s match against Bournemouth at Anfield to celebrate the 96 children, women and men who lost their lives as a result of the events on April 15, 1989, and recognise the achievements of the families, survivors, fans and all those who have supported the long campaign for justice. Fans on the Kop revealed a special ‘96’ mosaic and players wore black armbands as a mark of respect. Tributes were displayed on LED boards surrounding the pitch and there was a commemorative edition of the matchday programme. On Sunday April 15, players and staff across the club will fall silent at 3.06pm to observe a minute’s silence in memory of the 96. LFCTV will feature a day of themed programming and will be free to air in the United Kingdom and Republic of Ireland, and worldwide online on LFCTV GO. The Anfield retail superstore will be closed from 1pm and club stores in Liverpool One, Birkenhead, Chester, Dublin and Belfast will also cease trading temporarily to observe the minute of silence. To mark the 30th anniversary next year, the club will host a special Hillsborough memorial service at Anfield at the request of the Hillsborough Family Support Group. Details regarding the memorial service will be released in early 2019.